Dr. Mitchell King will do a complete examination of your teeth to determine if veneers are ideal for you. 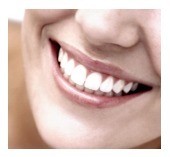 Veneers often provide the opportunity to dramatically transform the aesthetics of your teeth and smile. If you have any questions about cosmetic dentistry and veneers and you live in Conway or the surrounding area, give us a call today!